Most of us know that we should eat more vegetables. How? Many of us are now familiar with the idea of more plant-based eating, or eating entirely plant-based, which is eating vegan. Vegans eat nothing animal based at all. Most people think they cannot eat that way, but now there are meatless Mondays, and way more vegan options on menus at restaurants like The Outback Steakhouse because more and more people are giving plant-based eating a try! As with most any type of food, the Instant Pot makes eating more vegetable and plant-based foods easy and convenient. There are tons of IP recipes for all the beans, grains, soups, stews, breakfasts that any plant based eater could ever want because the magic pot really does make beans and grains (and most everything) much easier, and to the perfect texture. One of the best resources out there for vegan eating and the Instant Pot is the Culinary Coach JL Fields. 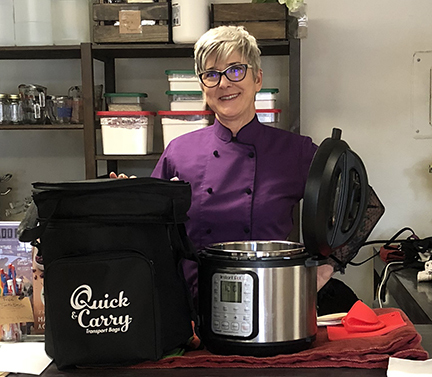 JL is a chef and culinary instructor, and she travels the world showing people how to cook plant-based food in a pressure cooker! Her website is packed with great information on plant-based eating. 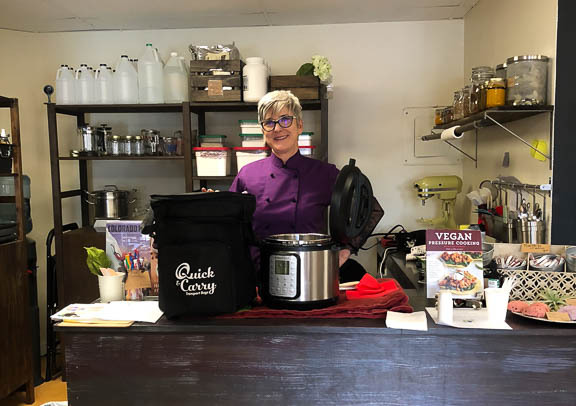 JL offers classes and demonstrations, and you can even hire her to do a one-on-one cooking demo over skype, which I think is brilliant and would be a wonderful resource for someone just learning how to cook a more plant-based diet. JL has written a number of cookbooks, and her Vegan Pressure Cooking is one of her best! 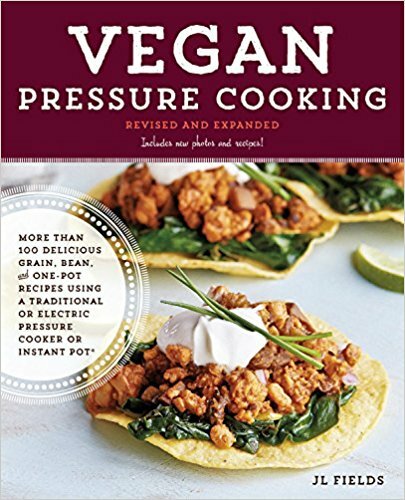 This cookbook takes you through the basics of pressure cooking and then hits all the high spots of vegan eating. Beans and grains, soups and stews, and one pot meals each have their own chapters. Side dishes, sauces and dips, and a chapter on sweet treats are also included. Cooking times charts and beautiful photos grace the pages of this resource. JL Fields now has a cooking show on ASY-TV, a streaming service, called Real World Vegan cooking with JL Fields, and you can see some of the episodes right here! If you have any interest at all in increasing the amount of vegetable and plant-based meals that you are eating, check out JL Fields and all her resources – books, show, blog, recipes. Your tummy and your health will thank you!